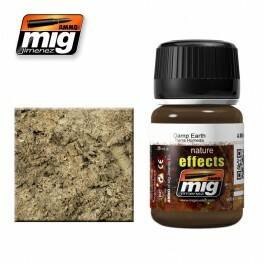 DAMP EARTHEarth colored effect that dries with a satin finish for the appearance of wet or damp mud. Mix with plaster to create accumulations of textured mud and earth.. Apply and blend with a clean brush moist with Enamel Thinner.